We give you some suggestions and guidelines for creating Playbooks in Planhat. Check them out! The purpose of a playbook is to build scalable processes for your customer success team. A playbook helps you quality assure the basics of your customer success methodology. 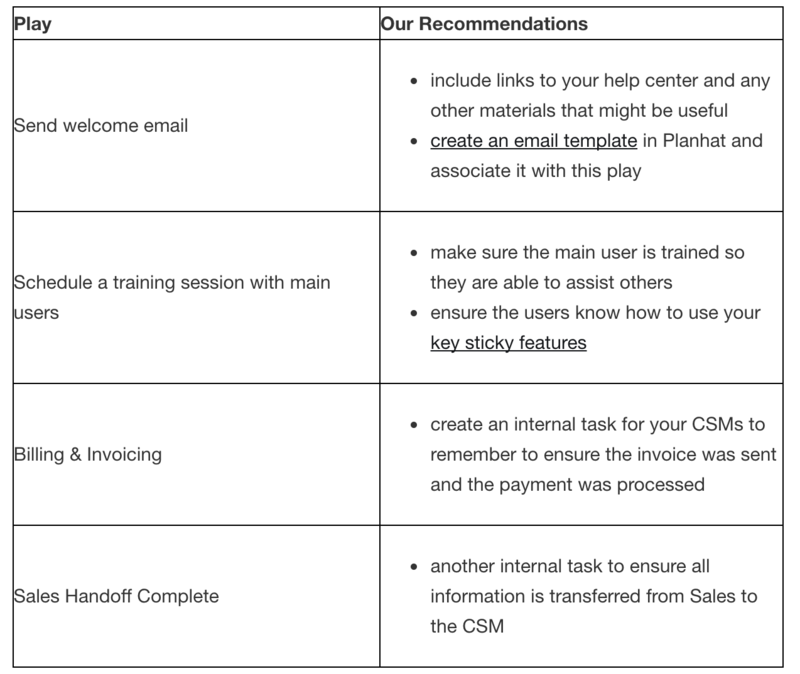 Playbooks help you align your teams, and help make on-boarding of new CSMs easy. Think of Playbooks as a simple “if-this-then-that-manual”. If you need help getting started with Playbooks, take a look at this video. These are some steps that you can consider including in your process, and that we have seen are most common. A quarterly business review is a check-in, at the end of each quarter, with the main users and the decision makers (if they are not the same person). This is the time to reinforce the value your customers are getting out of your product. 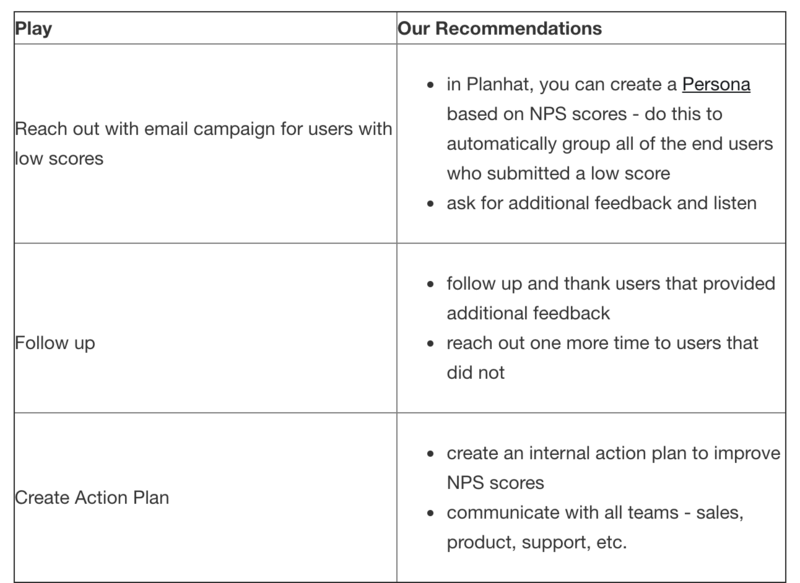 In Planhat you have the option to have your NPS scores per company (the average NPS score from all of the users that answered), and per end users. With this information, you can create a playbook to reach out to those that responded with a low NPS score. 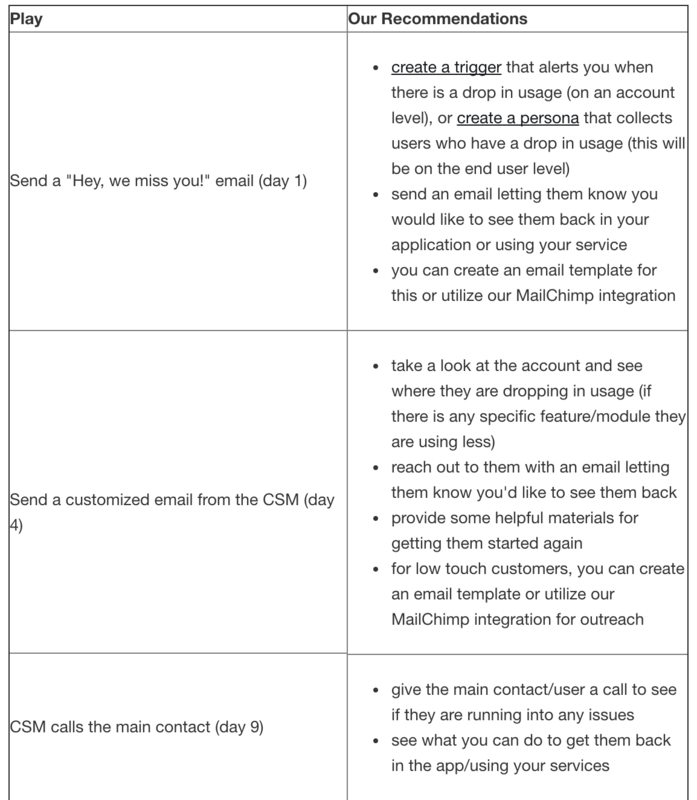 Check out the integrations we have with NPS tools! If you don't use any of these you can also import your information manually. 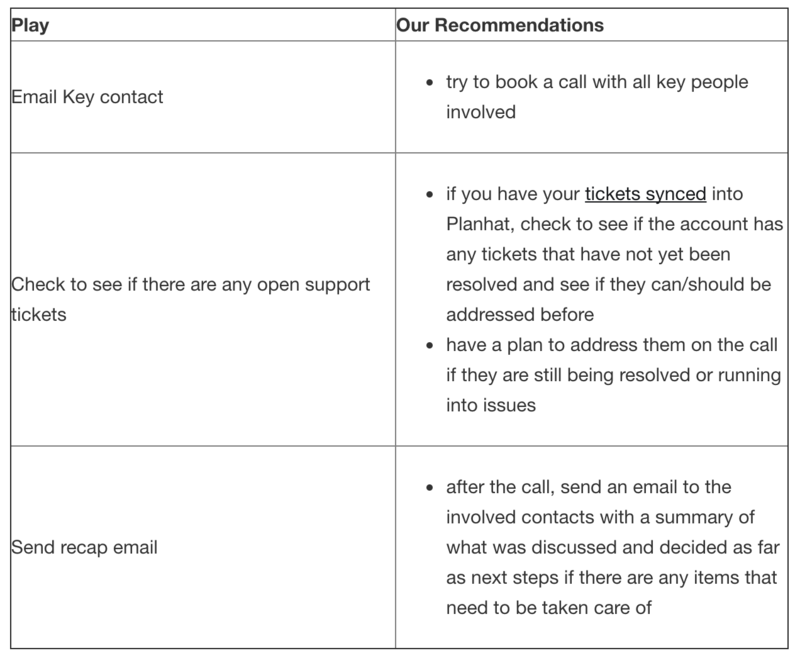 You can create a trigger in Planhat to automatically apply a playbook if there is a drop in usage, and your CSMs have an action plan ready for them to try to bring the users back.